On average, automakers in Europe are cutting sticker prices by more than 10%. GENEVA -- Few auto executives predict that Europe's intense discounting battle has eased despite six straight months of sales increases in western Europe and forecasts that show the region's total volume rising about 3 percent this year. With registrations languishing at about 20 percent below their pre-crisis peak, Fiat Chrysler Automobile CEO Sergio Marchionne said: "It's too soon to start singing the victory march." Marchionne said the recovery is driven more by fleet and rental sales rather than by consumer demand. Industry analysts say that self-registrations by dealers continue to artificially inflate sales to enable them to hit internal volume targets, especially in December and January. When asked last week at the auto show here whether the price war would end this year, Volkswagen Group CEO Martin Winterkorn gave a one-word answer: "No." Renault and Daimler were the only two car companies to increase market share last year, on the strength of Renault’s Romania-built low-cost Dacia models and Mercedes-Benz's line of compacts that includes the A class and B class. VW, BMW, Toyota and Hyundai-Kia declined in Europe at a slower rate than the market's 2 percent drop last year. Meanwhile Ford, General Motors, Fiat and PSA/Peugeot-Citroen lost both European sales and market share in 2013. Since demand is weak in relation to manufacturing capacity, car dealers have been forced to offer discounts. 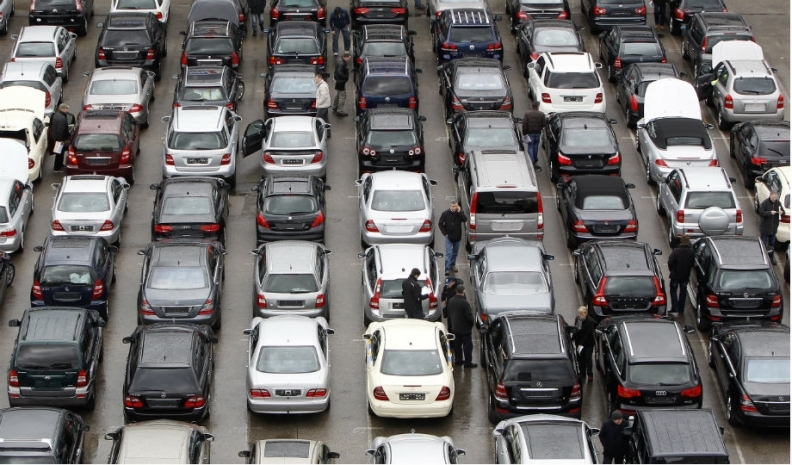 On average, they are cutting sticker prices by 11 percent to 12 percent, automaker sources told Automotive News Europe. "In the first two months there has been no change in the pricing arena," Ford of Europe CEO Stephen Odell said in an interview. "We still have a market with a production capacity of about 20 million and sales of 14 million. From an industry perspective, we would need a significant shift in demand to see everyone turn back the spigot a bit" [on discounts]. That doesn't mean that carmakers are not trying to end value-destroying practices. Ford managed to boost retail sales by 1 percent last year even as it cut back on dealer self-registrations and daily rental sales, a spokesman said, adding that the U.S. automaker's money-losing European unit "is trying to stay below industry average" on discounts. Renault has managed to raise transaction prices by more than 7 percent in the past 24 months, said the French carmaker's chairman of Europe, Stefan Mueller, because of the popularity of the Clio subcompact and Captur small SUV. The improvement came also because of better dealer performance, Mueller said. For example, the automaker worked with a selected number of dealers in Austria and improved performance by setting individual sales goal and improving customer relationship management tools. "We established a lot of support tools and sales manager follow-up," he said. As a result, sales at the Renault's dealerships that took part in the program rose 17 percent versus a 9 percent average for its entire European retail network.